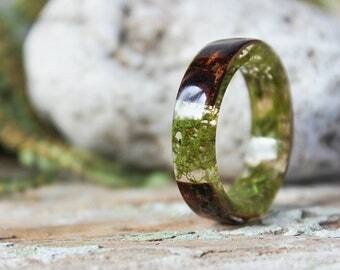 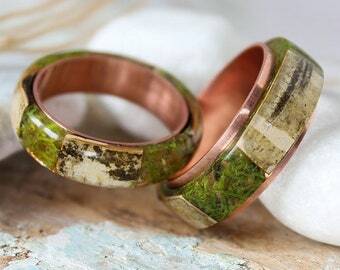 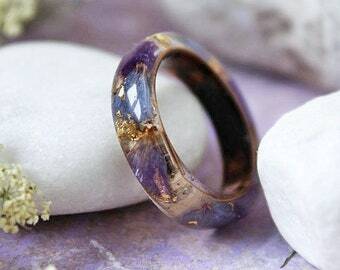 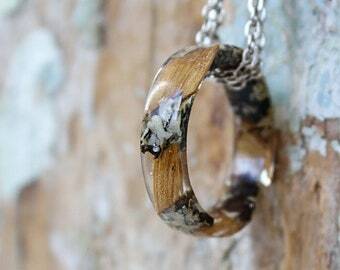 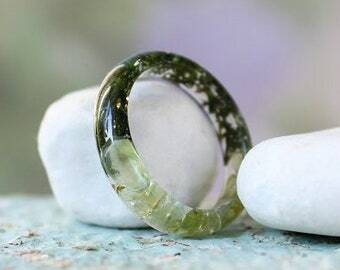 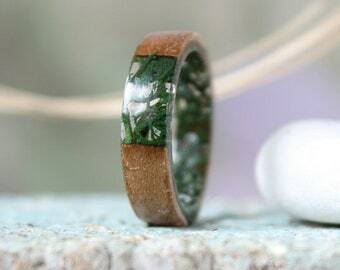 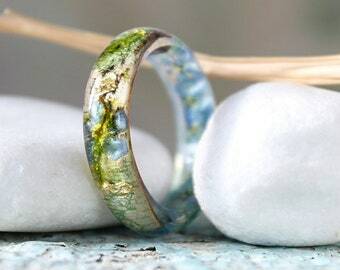 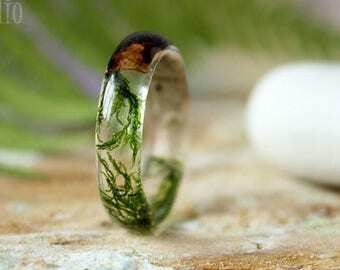 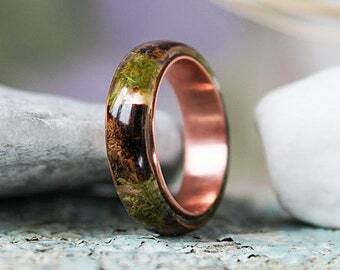 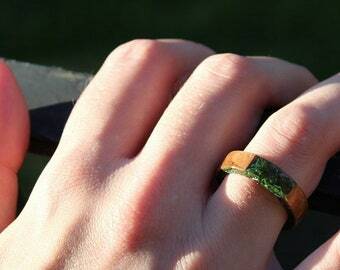 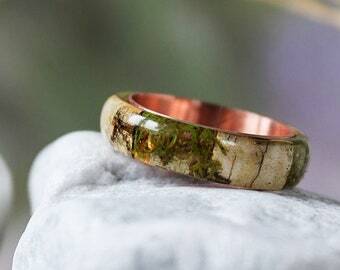 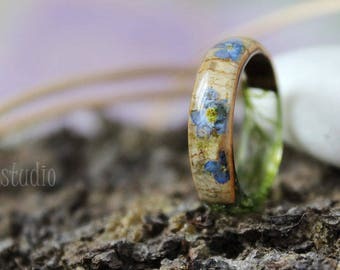 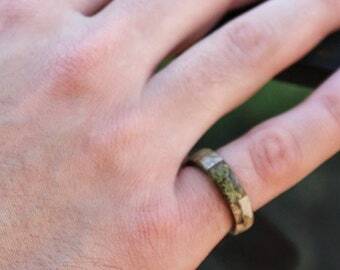 Nature resin metal ring. 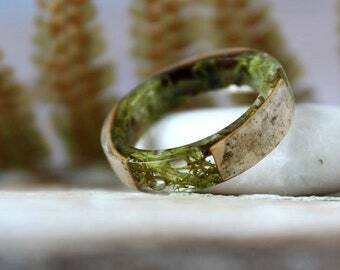 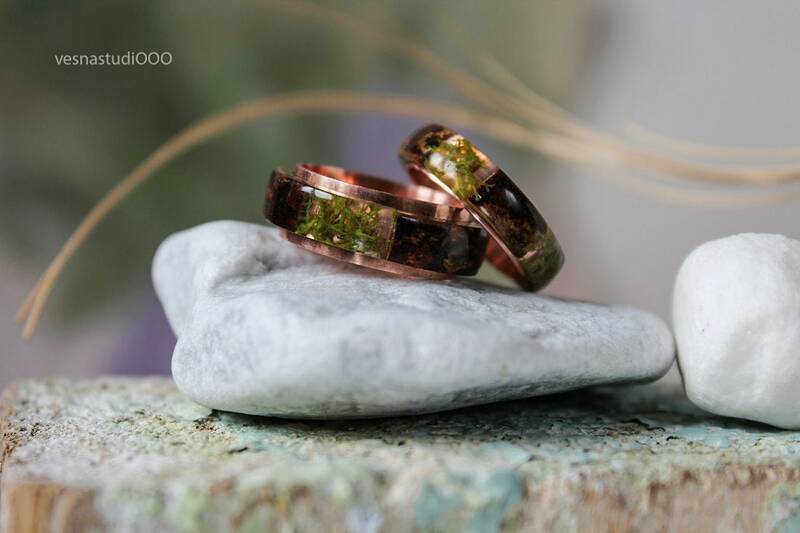 A single green moss and birch tree bark encased in crystal clear resin with fascinating 3D effect. 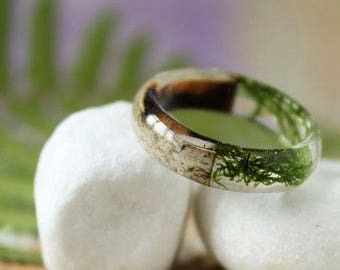 Contemporary in its appearance this ring will give you a simple and very untraditional look.